Researchers looked at data from around the world and found that colder climates and fewer sunlight hours means people tend to consume more alcohol. If the cold, dark days of winter make you crave a warming sip of alcohol, you're far from alone. An international team of researchers has pored — or rather, poured — through reams of data from around the world to test a widely-held assumption. 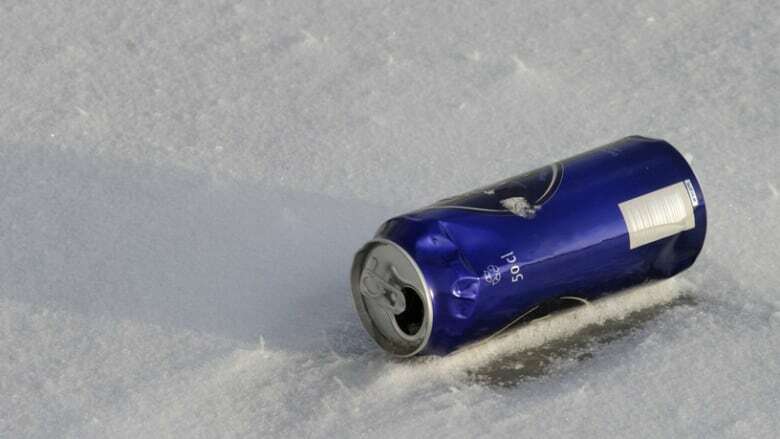 They found that people living in colder places with less sunlight are not just more likely to drink, but also more likely to binge drink, and also more likely to suffer alcohol-related liver disease. "Because one thinks that when it's cold, one stays more at home, and alcohol can create some sensation of heat inside the body," said Dr. Juan Gonzalez-Abraldes, a professor of medicine at the University of Alberta, and one of the authors of the research published online by the journal Hepatology. "We thought that people in colder climates would drink more, so we wanted to address that from a scientific point of view, providing data, numbers, and analysis." 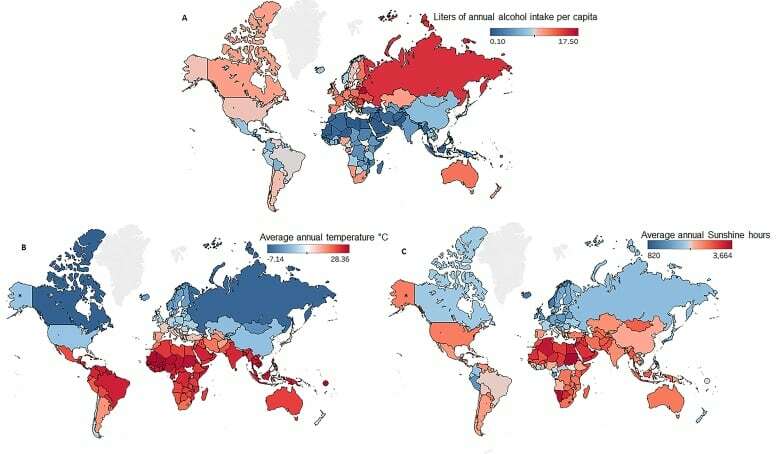 The researchers used data from the World Health Organization, the World Meteorological Organization, and other public data sets to compare average temperatures and sunlight hours of different regions, with statistics on alcohol consumption and alcoholic cirrhosis. Data came from 193 countries, including Canada. U.S. numbers were broken down by state and county, but Canada was looked at as a whole, and not broken down by region or jurisdiction. Dr. Ramon Bataller, a University of Pittsburgh researcher and the report's senior author, said the goal was to determine whether there was in fact a provable relationship between climate and boozing. "We were very surprised that this particular study was never done in the past," Bataller said. "In Russia they drink a lot, in Minnesota they drink a lot, everybody says, 'it's so cold, you need to drink' — but something that was assumed was never studied." The data trends were clear, Bataller said. 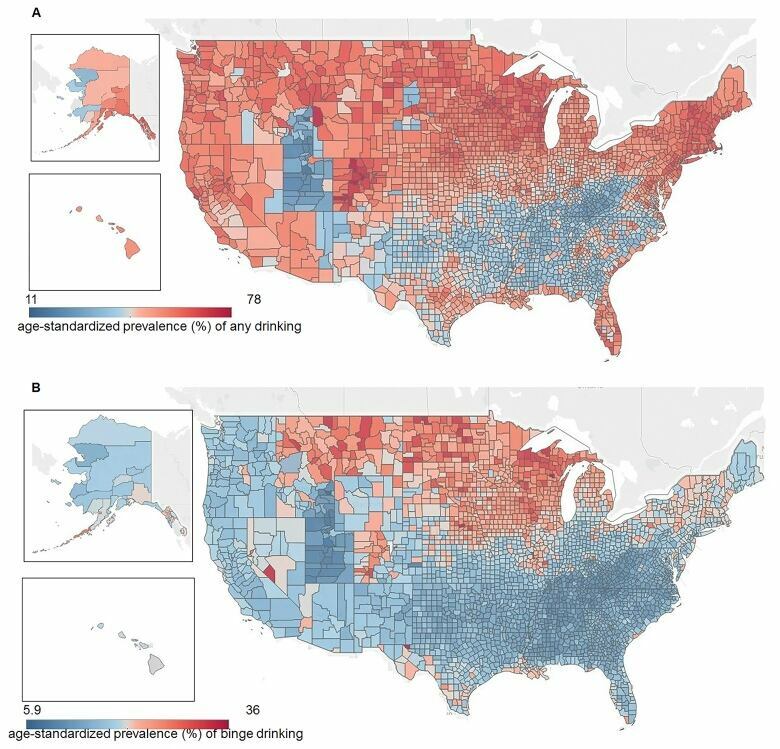 "When we correlated, we found that the colder the countries, the darker it is, the more heavy drinking and alcoholic cirrhosis," he said. The researchers acknowledge that there are plenty of confounding factors, such as religion. Muslim-majority countries tend to consume less alcohol, whatever the climate, as do some regions of the U.S. where booze is more strictly regulated, such as Utah. The researchers said they controlled for as many confounding factors as they could, but some could not be controlled for, according to Bataller. For example, alcohol consumption data are based on sales figures, and Bataller said people in developing countries might be more likely to drink homemade booze. "The warmer places, you don't record so much what they drink," Bataller said. 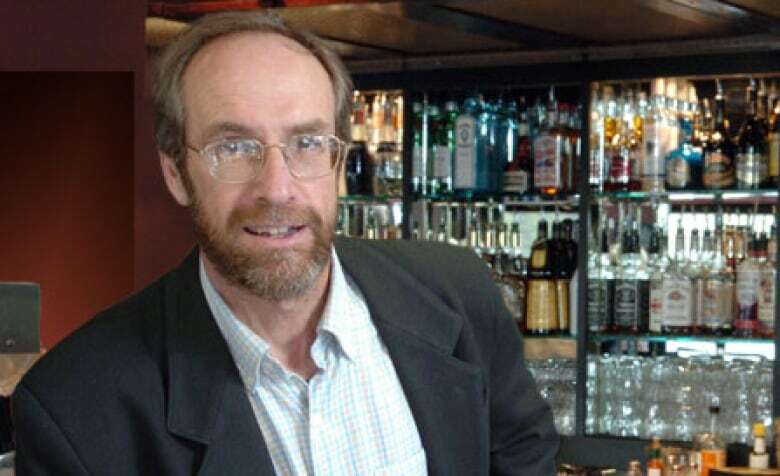 Timothy Stockwell, a University of Victoria professor and the director of the Canadian Institute for Substance Use Research, has worked in alcohol research for decades, from Australia to northern Canada. He said this new research is valuable — but mostly as a starting point. "It was done well, but I think there's lots of questions. It raises more questions than it answers," he said. One big question, he said, is how remoteness factors in. In other words, do people in small northern communities drink because it's cold and dark, or because there's little else to do for amusement? "In the north of Australia, in rural remote areas where it's actually incredibly hot, you get the same phenomenon of people drinking more than in built up areas," he said. "There's more focus on getting together and drinking heavily in remote rural areas, and it may be nothing to do with the temperature." He also points out that the research did not break the data down by season — and there's evidence that drinking spikes during heat waves. "So it's not as simple as the colder it is, the more you drink — it's also the case that the hotter it is, the more you drink." 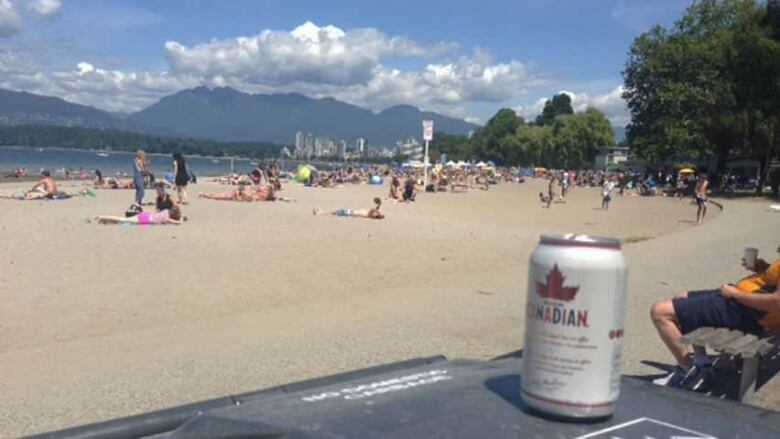 'It's also the case that the hotter it is, the more you drink,' Stockwell said. Still, Stockwell said even if the research does not prove any sort of causal connection between climate and drinking, it's still valuable because it highlights a clear correlation. "I think this kind of big-picture research is fantastic, and it starts conversations. And I think more people should pursue this and try and wrestle it down so we understand it better," he said. "It's something real, but we don't understand exactly why it's the case." Bataller agrees that his study should be a starting point for researchers and policy-makers who are interested in alcohol as a public health issue. "It's one of the pieces in the puzzle, of how to prevent heavy alcohol [consumption], and the consequences," he said.